Buy it today! What if tomorrow never comes? How and why did the original screenplay change? Was this comedy influenced by Nietzsche’s theory of eternal recurrence? How long did the time loop last? Seven acts? It had seven acts? Was the structure really based on Kübler-Ross’ stages of death and dying? Was it always a romantic comedy? Which movie star with the initials A.MacD. sat on the screenwriter’s lap? How much will this book cost? 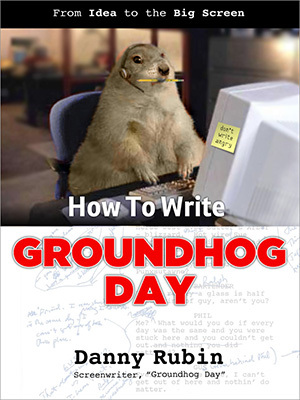 Both an entertaining story and a case study for screenwriters, How To Write Groundhog Day includes the original screenplay, notes, scene sketches, and a fun tour of the Hollywood writing process from this popular screenwriting teacher. Copyright © 2017 by Danny Rubin. All Rights Reserved.